The Tower of London is known historically as the prison for the crown of England. Its ghostly presence is due no doubt to the mass amounts of executions, tortures and murders that occurred within its walls. Hundreds of ghost sightings are reported there every year by tourists and Londoners alike, and, on a misty night, many hope to catch a glimpse of one of its dead prisoners. A story goes that one night a guardsman was standing watch when he heard a banging noise on his guardhouse. He went out to investigate and he saw a shapeless white figure that very well could have been the ghost of Lady Jane Grey, who was beheaded that very same date, February 12th, in 1554. Others have reported seeing the spirit of Ann Boleyn, a wife of Henry VI, who was also beheaded in 1536. Ann is a frequent visitor to the Tower and she is sometimes seen carrying her own head. Other ghosts include Henry VI, Thomas Beckett, Sir Walter Raleigh and the Countess of Salisbury, whose gruesome execution is sometimes seen being re-enacted by ghosts. 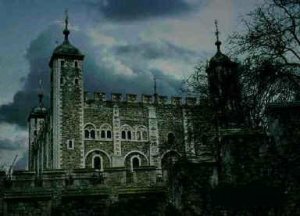 Click here to find out more about the hauntings in the Tower of London.